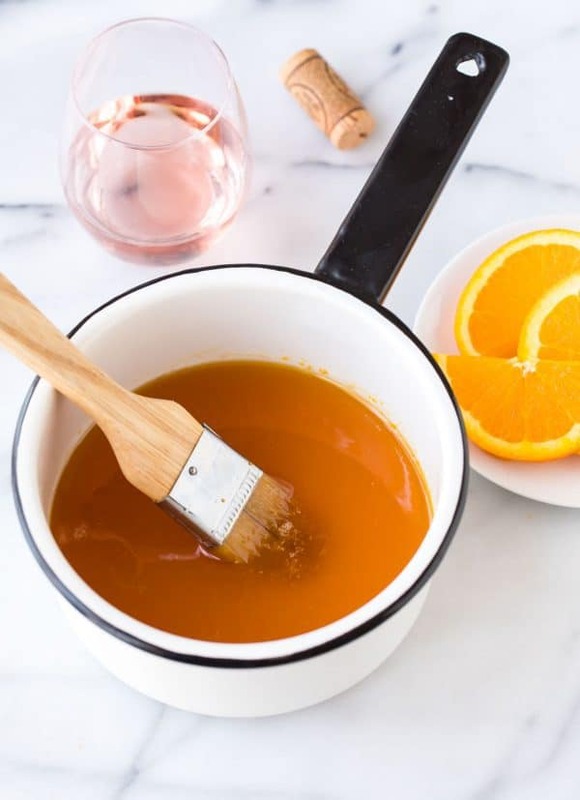 A cake soak made with fresh orange juice, reduced rosé wine, and butter, this fresh, sweet soak is perfect for pouring over any mildly flavored cake. Try it with a classic buttermilk Bundt cake, vanilla cake, pound cake, or my absolute favorite: Pink Cake! Soaking a cake is a classic secret to moist cake. It’s also incredibly easy. Simply combine the ingredients in a small saucepan, heat, and BOOM. You have liquid gold that will make even the simplest cake recipe truly special. This cake soak is perfect if you are looking for fun recipes using rosé wine (I love it for a girls’ night) or want to take a basic cake recipe and make it truly special. This particular cake soak isn’t overly sweet, and because it also contains butter, it gives the cake an extra layer of indulgence. You won’t need frosting when you use it. The soak is plenty flavorful on its own. A cake soak made with fresh orange juice, reduced rosé wine, and butter. Pour this over any vanilla cake, pound cake, or simple bundt cake to make it extra moist and taste truly special! 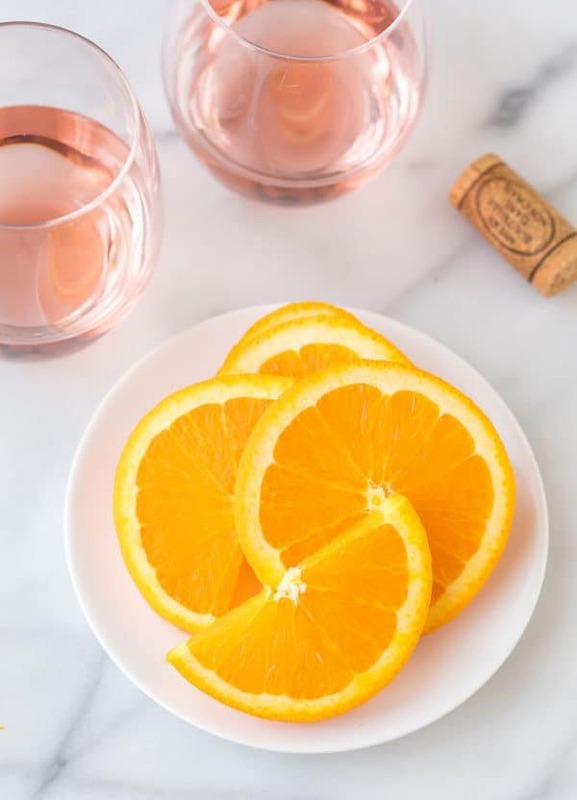 In a small saucepan, combine the wine, sugar, orange zest, orange juice, and butter. Cook, stirring occasionally, until sugar is dissolved and liquid is slightly thickened, about 10 minutes. Remove from heat and stir in the vanilla. Let cool to room temperature, then pour over the cake as directed in the recipe.